Eleven-second pit stops could be a thing of the past. 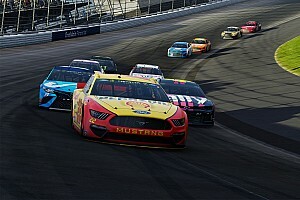 There are ongoing discussions between team owners and NASCAR of further reducing the number of pit crew members going over the wall from six to five, Motorsport.com has learned. The cost-cutting initiative could go into effect as early as 2017. It would be up to each team’s discretion how to choreograph the pit stops. However, under a full fuel stop, the most likely scenario would feature the elimination of one tire carrier. In the evolution of NASCAR pit stops, most team incorporated two tire carriers in the mid-90s. The current proposal to limit crew personnel over the wall is twofold: As a cost-cutting measure for mid-level operations. Second, as a safety initiative to eliminate additional bodies on pit road. When the current fueling systems were introduced in 2011, teams pared down from seven to six men over the wall when the catch-can position was eliminated. Under most circumstances, teams used a front and rear combination of tire carrier and changer along with a jack man and fueler. 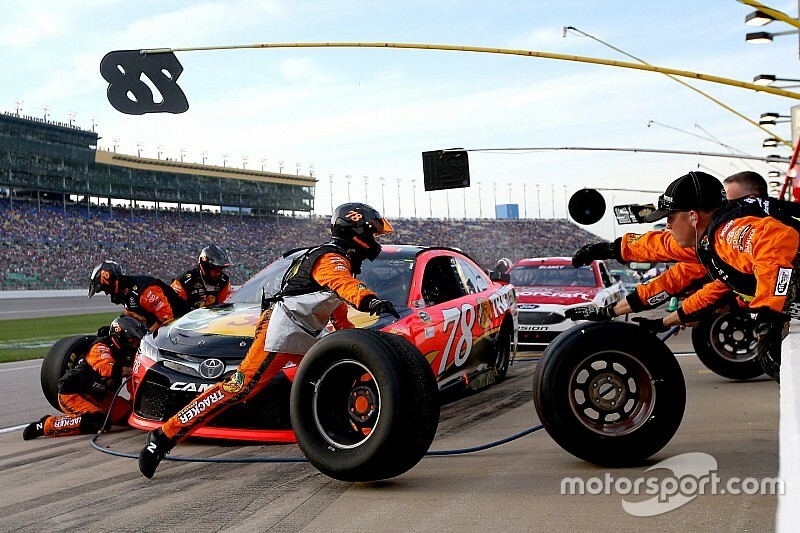 Under certain strategies in the Xfinity Series, teams incorporate a second gas man because it takes longer to refuel the cars. If five crewmen are used to pit the cars, the time of stops are likely to increase by 1.5 to three-seconds depending on the configuration of the stop. 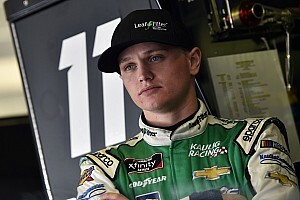 The top teams — Joe Gibbs Racing, Stewart-Haas Racing, Team Penske and Hendrick Motorsports — would still likely employ two carriers for non-fueling stops depending unless NASCAR mandates against that in the rule. For teams that incorporate one carrier, the body type of that athlete is likely to change — particularly if he’s expected to deadlift two 84-pound tires over the wall. 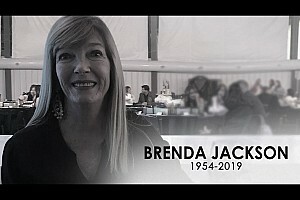 Teams would likely recruit a taller individual with longer arms in order to execute the move on the right side of the car while the jack man would index the left side tires. From a financial standpoint, top teams that currently pay six figures for a tire carrier — plus travel expenses — can reallocate the funds back into the race for research and development. TV could also put more emphasis on the athletes going over the wall and incorporate those team members into the weekly storylines.